Fehr Trade was founded in 2005 by Melissa Fehr, but she’s been sewing in every scrap of spare time since 2001, also taking up running at about the same time. In 2013 both interests collided when Melissa released her first digital sewing patterns for activewear, and she hasn’t stopped moving or sewing since! 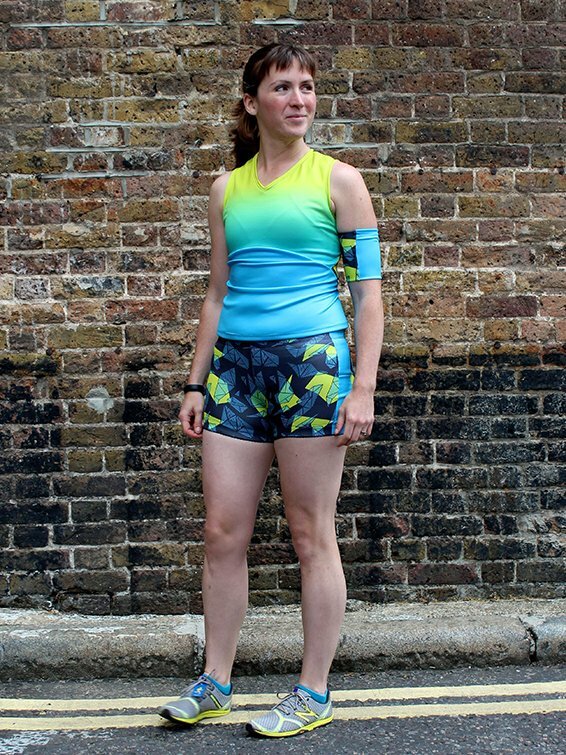 So far she’s run five full marathons in her own-sewn gear, and also enjoys cycling and bouldering whenever she can. Melissa is passionate about supporting other small designers and often collaborates with illustrators, designing specific prints to fit with her own activewear sewing patterns. Visit our shop to buy Melissas prints for her digital patterns, all Melissa’s sewing patterns can be purchased digitally at Fehr Trade website.